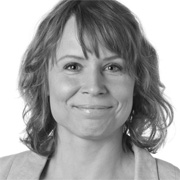 As Head of Online for Alka Insurance in Denmark, Camilla has led the entire development of the digital sales and service channel fort the large company, including a major increase in online sales, developing a multi-channel strategy, and instituting chat services as well as mobile services. She is also on the commmittees for business development, strategy implementation, and product development. Before joining Alka in 2009, Camilla served as a Project Manager for Denmark’s largest telecommunications company TDC. She received her degree in Business English and Spanish from Copenhagen Business School.